We’re going through the book of Acts on Sundays in adult class, and while looking at this portion of the book, it occurred to me that Jesus never healed this man during His earthly ministry. It says here that the lame man was laid daily at the temple to beg money from those going in to worship. This must have been going on a for long time, because Acts 4:22 says he was over 40 years old. 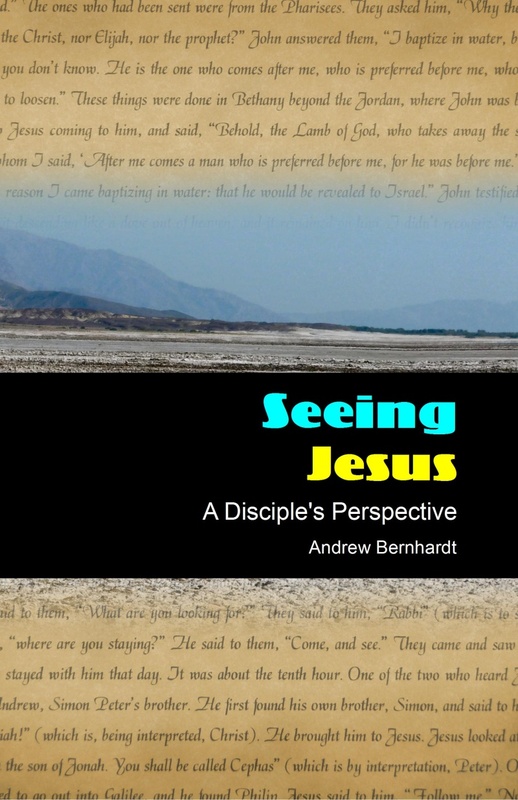 Jesus must have passed by him many times, and the man almost certainly knew who Jesus was. Perhaps he had hoped to be healed but could never work up the courage to ask. Then, when Jesus was crucified, his hopes died with Him. There are some similarities and dissimilarities between this man and the blind man in John 9, not least of which is that both were born in their condition. When the disciples first saw the man born blind, they asked Jesus “Who sinned, him or his parents, that he should be born this way?” Jesus responded, “Neither has this man sinned nor his parents, but that the works of God should be manifested in him.” Now when Peter and John see the lame man, there is no question of “who sinned”, but just an opportunity for the works of God to be revealed and Jesus to be glorified. Another good similarity is that both healed men had a true conversion experience. So many times people came to Jesus to be healed, and once they got what they wanted, they went their merry way (i.e. Luke 17:17-18). But it is evident that both the blind man and the lame man had serious changes of heart. The blind man was excommunicated from the synagogue for his testimony of Jesus, and the lame man was willingly present as witness (and encouragement) for Peter and John when they were testifying before the Jewish rulers (Acts 4:14). Perhaps Jesus didn’t heal the lame man, so that He could get the greater glory when Peter and John healed him? Perhaps God does not answer our prayers right away so that He can get the greater glory later on? Have read this account of the healed lame man many times and only today wondered the same . Why had Jesus not healed him previously? God definitely was greatly glorified. Peter gets it right by giving g Jesus full credit. Such a Chang in Peter and all who recognize the risen Jesus! Why didn’t Jesus heal the crippled man sooner? I think we need to look at the crippled man to find the answer. He had been crippled all his life. This his way of life, his lot, the way things were and will be. He was over 40 years old, why expect anything different after all that time. The man had accepted this and didn’t accept anything more. Simply put, he was not ready for the miracle until Peter and John showed up. It isn’t that God or Jesus couldn’t heal him, because we know that isn’t true. If the man’s heart was not ready for healing the blessing would be lost. God had to work on his heart so he was able to accept the blessing. The most significant moment in the history of mankind. WHY? Here is a man who most people including himself would say “most unluckiest” or “reject of the society”. Here is a man who has given up hope on himself or rather let us say”One who missed the healing bus by a whisker”. How? Let us look at the background of this LAME MAN. He is born lame from birth (Acts 3: 2). In-fact he was deformed before he was born, observe “man who was lame from his mother’s womb”. He was over 40 of age (ACTS 4:22). For the man who was miraculously healed was over forty years old. Everyone who came to temple to worship knew him very well (ACTS 3: 9-10). When all the people saw him walking and praising God, they recognized him as the same man who used to sit begging at the temple gate called Beautiful, and they were filled with wonder and amazement at what had happened to him. Even Jesus ignored him See (John 10:14). As Jesus was walking in the Solomon’s Colonnade, the Pharisees and Scribes questioned him about himself. The one of the most significant entrance to Solomon’s Colonnade is through the Gate called Beautiful. It is hard to miss this man sitting at the temple gate called Beautiful when rest of the people who saw him after he was healed recognized him as one who sat at the gate called beautiful begging for alms. This same Peter and John walked with Jesus along with other disciple into the temple courts when Jesus had that encounter mentioned in John 10:14. Just two weeks before Jesus was crucified, Jesus violated the basic norm of Jews Temple laws laid down by Moses as mentioned in Leviticus 21:18 (For no one who has a defect shall approach: a blind man, or a lame man, or he who has a disfigured face, or any deformed limb,) which could have led to stoning Jesus with his disciple if this Amazing miracles did not happened as recorded in Mathew 21:14 ( The blind and the lame came to him at the temple, and he healed them.) This was in fact what Jesus wanted to happen that who ever with any sickness of defect who approach the temple of God in His presence Should be healed there by revealing the true nature of God. But our Lame Man who “Missed this Healing Bus by a Whisker”. And of course this Peter and John with rest of all disciple where with Jesus during this amazing healing as mention in Mathew 21:14. Like many, like Peter and John may have lamented the fate of this man. That may have led this man to live the rest of his lives without hope to live out with this condition. Like any other day, Peter and John went to the temple to pray at 3pm afternoon and this lame was also being laid to beg for alms as it was routine. But this moment the most significant healing in the history of mankind. This was first miracle done by an ordinary , unschooled men as mentioned in ACTS 4:13 after ascending of Jesus to heaven fulfilling the promise He said in John 14:12 Truly, truly, I tell you, whoever believes in Me will also do the works that I am doing. He will do even greater things than these, because I am going to the Father. Peter and John accomplished some which Jesus himself could not do during his ministry on earth. this miracle was the beginning of that. When Jesus healed the lame and the blind at this very temple court in Mathew 21:14, salvation of a single soul never happened. Because Jesus was not yet Glorified by crucifixion and death and rise from the dead yet. But at sight of this lame man who was completely healed standing with Peter and John, number of people who believed in Christ and saved in the name of Jesus rose to 5000 men as recorded in ACTS 4:4. This is greatest moment in history of mankind!!!! So your troubles and sorrows that you may have that made you into who you are, is not end of your fate. Like Sputnik launched into the space for ever, you sorrows and trouble may one days launch you into eternal salvation of many at your testimony of your life. Most of the times we do not understand God’s way of doing things. We expect that God should do the things in a certain pattern. In case of Job’s suffering, we later understand God’s excellent way of doing the things. In the same context, probably, the lame man was not healed by Jesus for greater glory later on when he was healed by Peter and John.